Salvation And Survival: Join Me In Learning Our Constitution! Join Me In Learning Our Constitution! Yesterday, I received an email that I want to share with you. Hillsdale College is offering a free, online course, called "Constitution 101: the Meaning and History of the Constitution". Hillsdale College has been a tireless advocate for our liberties in this country since 1844, and one of the few colleges in our nation who uphold the truths of our founding documents. The course begins this next Monday, February 20th, and you can go to this website to register. Each lecture of this 10-week course (1 lecture per week) lasts 40 minutes, and all you have to do is sign up. There is no cost to register for the course, but they do ask you to consider a small donation to support their efforts to educate millions of Americans about our nation's Founding documents and principles. I figure a modest $25-$50 donation is well worth receiving instruction from Hillsdale's reputable faculty. The time is running short to register, so don't delay! These are the same readings taught in the actual College course, by the same Hillsdale faculty who teach on campus. You will be able to submit questions for weekly Q&A sessions with the faculty and take part in weekly quizzes. 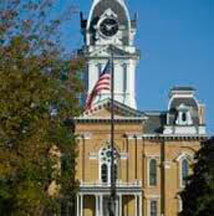 Upon completion of the course, you will receive a certificate from Hillsdale College. I daresay, that very few of us have studied our Constitution in such depth during our lifetimes, and I will bet the house on the fact that our children have not been taught this curriculum in our schools. If our country stands a chance of pulling through this national crisis, we better know our Constitution, inside and out! So won't you join me? Let's reclaim our historical truths and standards! Let's prove our esteemed Supreme Court Justice Ginsberg wrong! Our Constitution should be the standard-bearer for all nations, and if she is unable to "support and defend it", then I will stand and proudly "bear true faith and allegiance" to it. Let's become Constitutional experts and teach our children. Then perhaps we can save this great nation of ours. Romans 6:17 "But thanks be to God that, though you used to be slaves to sin, you have come to obey from your heart the pattern of teaching that has now claimed your allegiance." We signed up for this course, particularly for our homeschooled highschooler, and watched the first introductory video together yesterday. This is going to be a first-class course! I am so glad this is being offered, and I hope lots and lots of people will take advantage of this great opportunity. 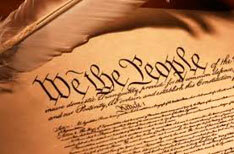 It could make a difference in our country's future if we all were better educated on OUR Constitution! You are SO right, Linda! I'm hoping people across the country will spread the word and we'll become a Constitutionally-aware country once again!